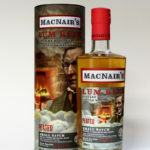 This entry was posted in Blog, Whisky Tastings and Events News and tagged Adelphi, Berry Bros & Rudd, Cadenheads, Carn Mor, Douglas Laing, Robin Laing, SLC, Wemyss, White & MacKay on 19 November 2012 by . Here is the up-to-date information on The Whisky Shop Dufftown's programme of events for the Spirit of Speyside Whisky Festival 2013. We have also put the tickets for some of these events on sale at an "early drammer" discount. Click here to book. PLEASE BE AWARE THAT TICKETS WILL NOT BE AVAILABLE ON THIS SITE ON 26 JANUARY WHEN TICKET SALES ARE LAUNCHED ON THE MAIN FESTIVAL WEBSITE. 17:00 It All Started with a Big Dram - An informal tasting of a selection of the Whisky Shop Dufftown bottlings and a few other selected whiskies. We will donated £5 from each ticket sold to Dufftown in Bloom. We hope to be running some special events to distilleries. And as a new tradition we will intend to kick off our programme with a big dram in the shop on Thursday afternoon.